Don’t ever fear living dangerously. Simply focus on the living, for you can do nothing about the danger! The other day we were at an event to launch a book based on the Life of Neerja Malik, a two-time cancer survivor. 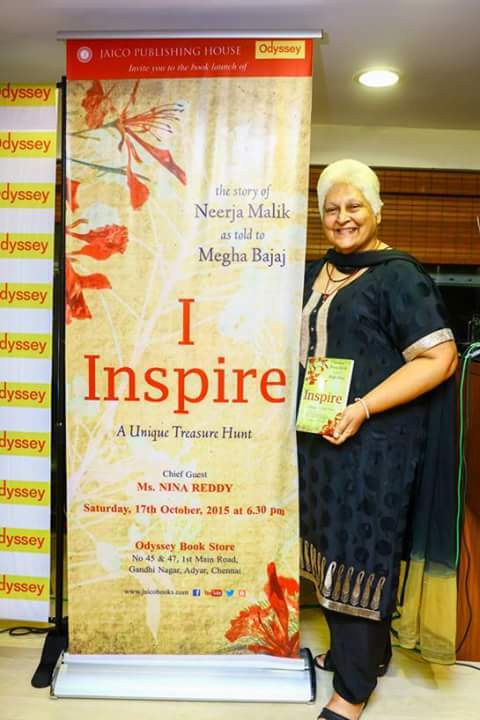 Titled ‘I Inspire’ (Jaico, written by Megha Bajaj), the book tells Neerja’s story – of grit, of letting go, of acceptance and of being happy despite the circumstances. At the launch, Neerja, just as the way she always is, was beaming and radiating abundance. She personified being joyful! Without any prior notice, finding me and Vaani in the audience, Nina Reddy, of Savera Hotels, who was the chief guest at the event, invited me to share some perspective (perhaps given our own experience with dealing with a Life-changing crisis) on how “it is possible turn a crisis into an opportunity”. 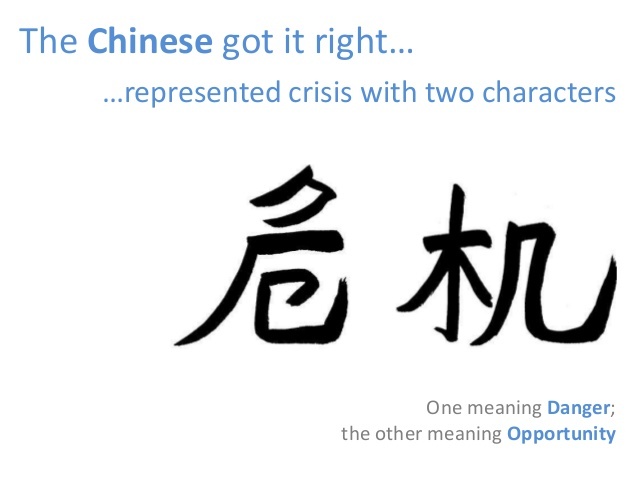 I talked about how ancient Chinese philosophy and literature support this belief that the word “crisis”, when written in the Chinese language, is actually the sum of two other words. One meaning ‘danger’ and the other meaning ‘opportunity’. So to the Chinese, crisis always means danger + opportunity. The import for us is this – whenever you see crisis, don’t get overwhelmed by its inherent dangerous nature. See the opportunity. To be sure, there is opportunity all around, everywhere, and every step of the way. Osho, the Master, takes the Chinese argument one step further. He says Life is intrinsically fraught with dangers. Each moment is an encounter with the unknown. He says our academic education, social conditioning and the availability of economic resources makes us believe, actually kids us, that we know what outcomes can occur each time all necessary and sufficient conditions are fulfilled. But every now and then – when an MH 370 disappears into thin air, when you are faced with a debilitating ailment with no cure, when a close relationship sours irrevocably because you have stopped relating to that person – you realize that you are controlling nothing. That only Life was, is, and will be, in control. You discover then that you are a mere pawn. So, when this realization strikes you it can be very unsettling. You thought you were the boss, the king. But now, Life’s telling you are that you are just a cog in the wheel, a nobody who controls nothing. Osho says that instead of feeling depressed and powerless, celebrate the joy of living dangerously. Since you can’t do anything about what happens to you in Life, since you have no idea or control over what dangers lie on your journey ahead, simply let go and be happy! Neerja epitomizes that spirit. It’s her joie de vivre that’s helped her conquer cancer not once – but twice! It’s her zest to live that spreads so much positivity and cheer among all those she touches. She doesn’t make living this way seem easy. Living this way iseasy because she lives each moment fully – with awareness, with joy! There’s indeed great joy in living dangerously. If you can find some time from your worrying and fearing and fretting and fuming about the ‘dangers’ you are currently dealing with, believe me, you too can feel – and be – that joy!